Come and discover 15 exceptional places! 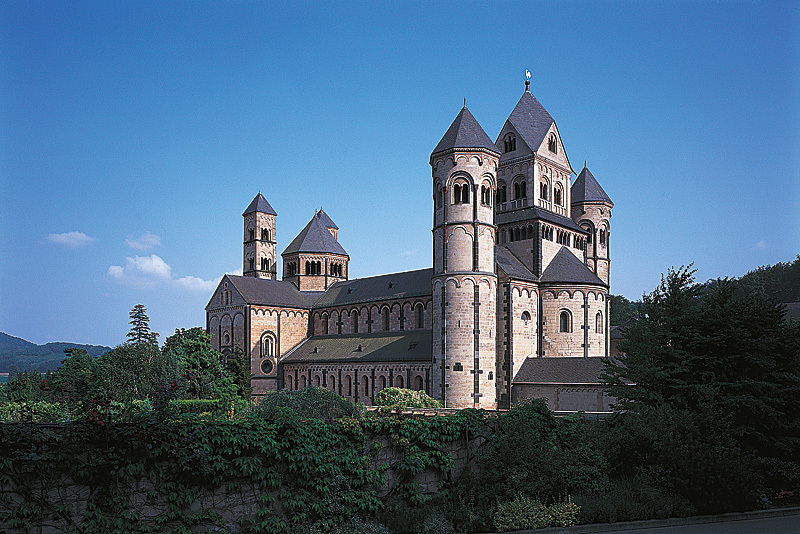 Set off on an inspiring journey to monuments that bear witness to 2000 years of civilisation, all located within one of Germany's oldest cultural landscapes. Be transported back to the days of the Romans, medieval knights and Romanticists and explore their masterly buildings: magnificent town gates and amphitheatres, proud strongholds and fairytale castles. Here you'll find unique treasures recognised by UNESCO as World Heritage sites. 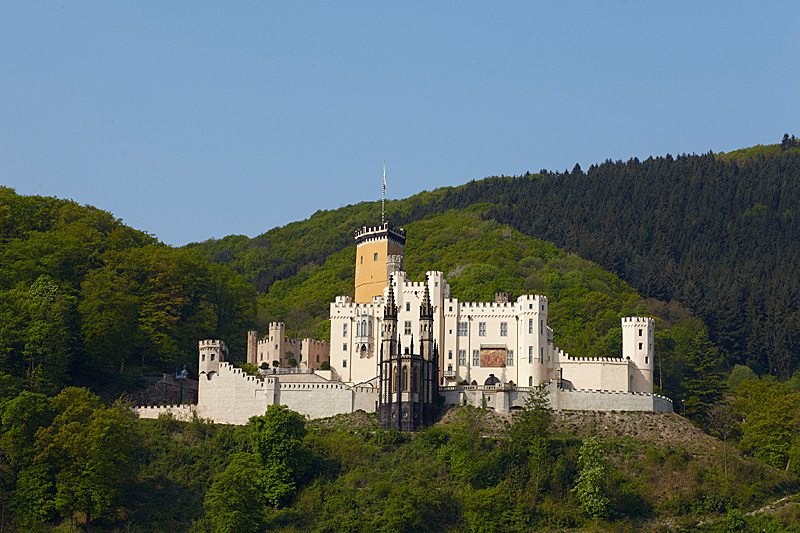 Visit the scenes of famous legends and enjoy unforgettable views of the Rhine valley. Koblenz at the famous "Deutsches Eck" was the venue for last year's spectacularly successful Federal Garden Festival and the city is still in bloom, its historic buildings basking amidst the floral splendour of its parks and gardens. Be inspired by famous works of art, soak up the peaceful atmosphere of a great monastery or marvel at the beat of butterflies' wings in a tropical wonderland. A bunker complex brings to life the dramatic political events of the Cold War and some extraordinary natural phenomena demonstrate the explosive world of volcanoes. 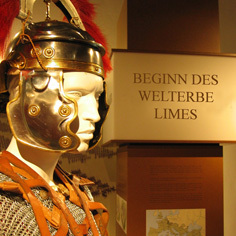 Finally, there's an adventure museum where you can embark on a special journey back to Roman times. Die haben das Recht, aus Gründen, die sich aus Ihrer besonderen Situation ergeben, gegen die Sie betreffende Verarbeitung Sie betreffender personenbezogener Daten, die zu wissenschaftlichen oder historischen Forschungszwecken oder zu statistischen Zwecken gemäß Art. 89 Abs. 1 DS-GVO erfolgt, Widerspruch einzulegen, es sei denn, die Verarbeitung ist zur Erfüllung einer im öffentlichen Interesse liegenden Aufgabe erforderlich. The Arp Museum at Rolandseck Railway Station is one of the Rhineland's loveliest art galleries. 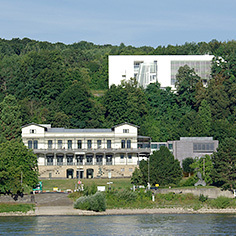 Its unique architecture is particularly striking: it combines a neo-classical railway station with a new building by Richard Meier. 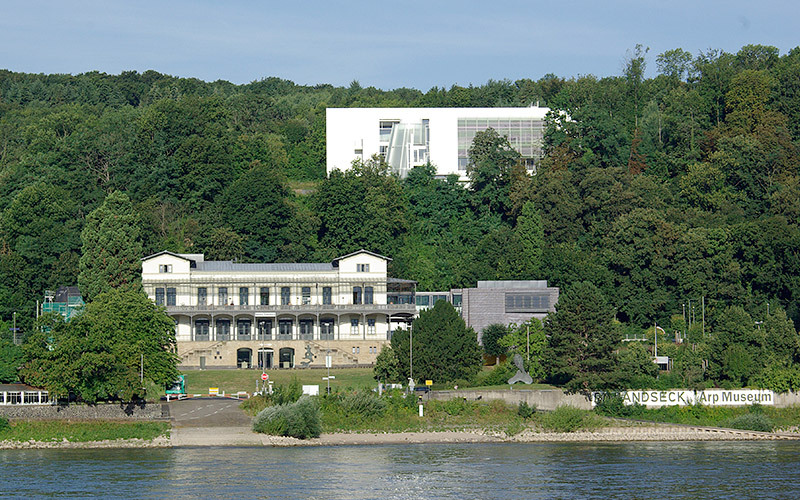 Offering spectacular views of the Rhine and the Siebengebirge hills, this gallery presents the modern works of Hans Arp and Sophie Taeuber-Arp, one of the most prominent artist couples of the 20th century. Works by internationally recognised contemporary artists are also on show, as well as a selection of high-quality paintings by Old Masters from the Rau collection for UNICEF. The museum's varied programme of events includes a festival of chamber music, classical concerts and readings. Only a few miles upstream from the centre of Koblenz, Stolzenfels Castle rises majestically above the left bank of the Rhine. 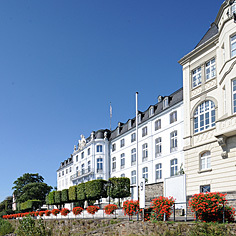 The present castle with its park and gardens was built in the 19th century on the ruins of a 13th century fortress. In terms of cultural and art history it is one of the most outstanding achievements of Prussian Rhine Romanticism. 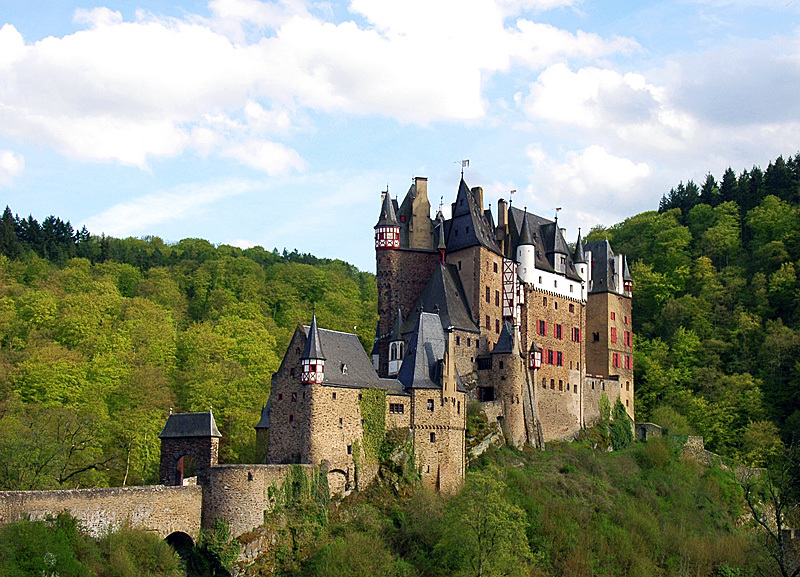 Hidden away in one of the Moselle's romantic side-valleys, surrounded by unspoilt countryside of outstanding natural beauty, stands Eltz Castle. 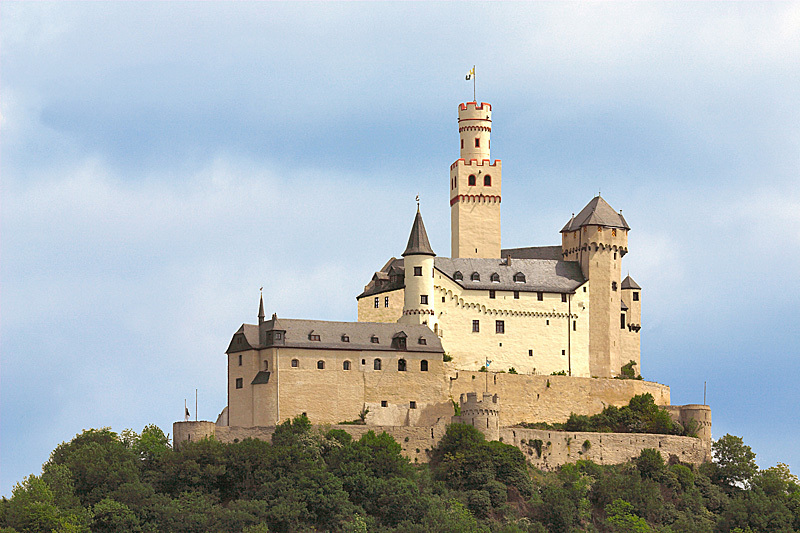 Famous throughout the world, this fairytale castle adorned the 500 DM bank note for many years. With its unique location, enchanting architecture and countless turrets and oriels, it is the quintessential knight's castle. In the treasury you can see a world-class collection of gold and silver work as well as jewellery, ivory, porcelain and weapons. 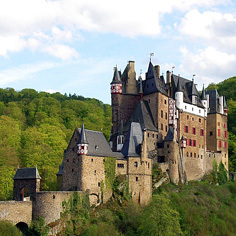 A guided tour of Eltz Castle with its ornate and fully preserved interior will take you on a journey of discovery through eight centuries of courtly life. History with a difference! 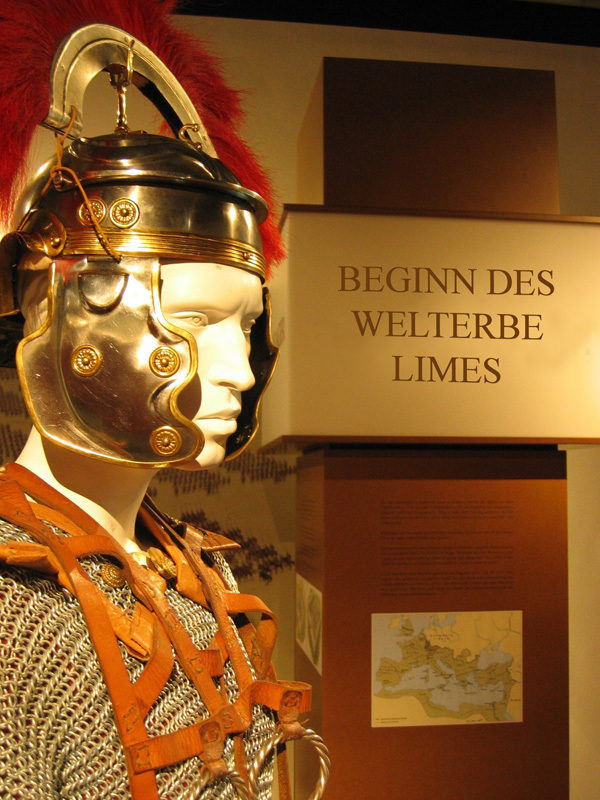 Step back in time and experience life on the Limes - the fortified frontier which separated the Roman Empire and Germania Libra (Free Germany). 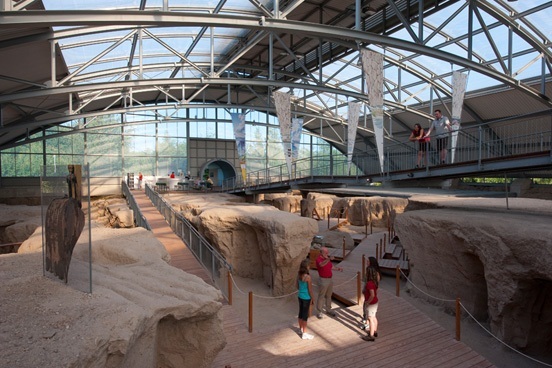 Rheinbrohl is the starting point of this 550 km-long archaeological monument which is a UNESCO World Heritage Site. This modern, hands-on museum with its fascinating exhibits - both indoor and out - invites you to experience history with all your senses. Come and get involved and discover what everyday life must have been like for the Romans, craftsmen and soldiers who lived along the Limes. Hikers are welcome here, too: RömerWelt is located at the meeting point of the Rheinsteig, Westerwaldsteig and Limes hiking trails. Built in the Baroque era, this stately home on the banks of the Rhine was always intended as a place of pleasure. The former Electoral hunting lodge and summer residence still delights the senses today: it is the headquarters of the Villa Musica Foundation and its Academy for Chamber Music and provides the setting for some outstanding events ranging from classical concerts and culinary theme nights, to inspiring exhibitions. With its grand staircase leading down to the river, 'cour d'honneur' courtyard, mansard roof and three-wing construction, Engers Castle is one of the last examples of this architectural style which found its ultimate expression in the Würzburg Residence. Journey back in time to the days of the Roman Empire. 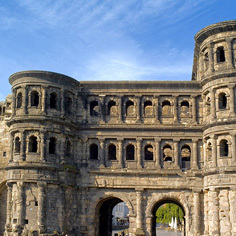 The city of Trier on the banks of the Moselle was once known as the "Rome of the North". 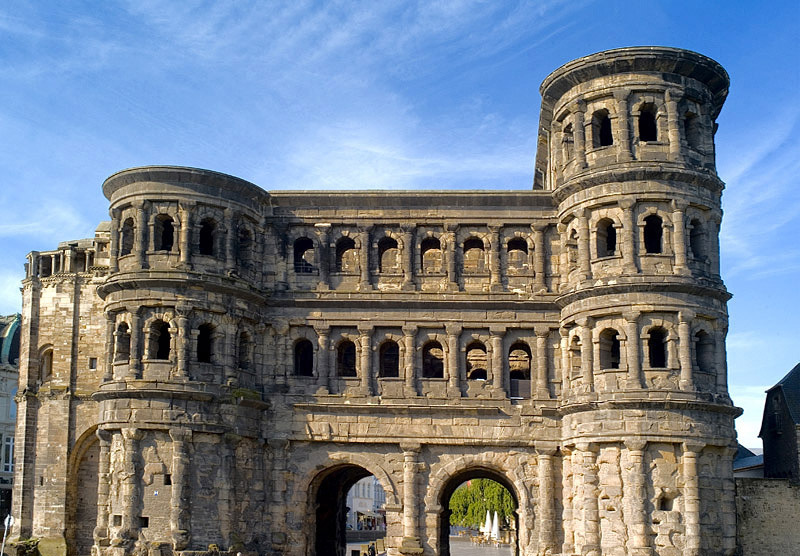 The Roman era has left an impressive legacy in the city which was the centre of the ancient world in Germany: the Porta Nigra, the amphitheatre, the Barbara Baths, the Imperial Baths to name but a few. All these structures are UNESCO World Heritage sites. Even in modern times, the amphitheatre and the Imperial Baths still provide spectacular settings for a wide variety of events. 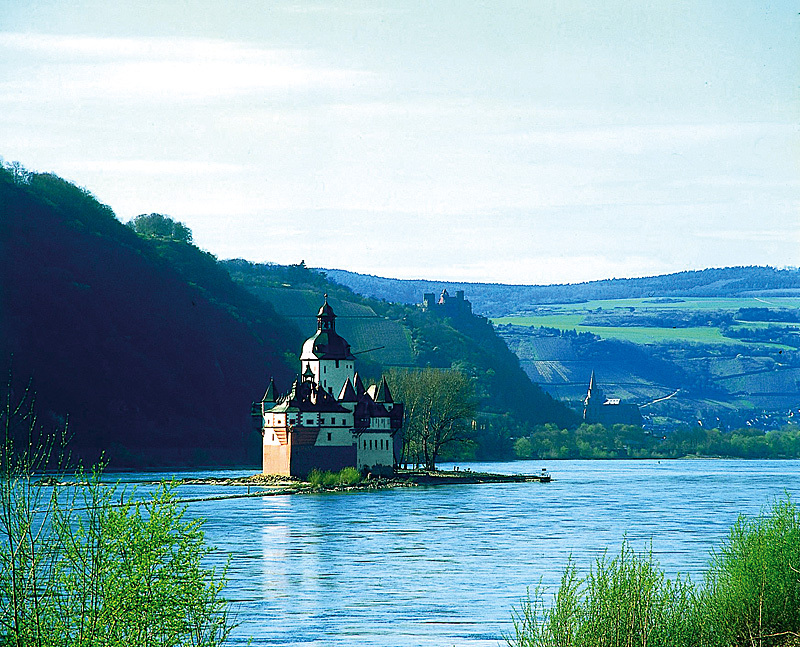 In order to visit this jewel among castles, you have to take the ferry to the little island of Falkenau in the middle of the Rhine. 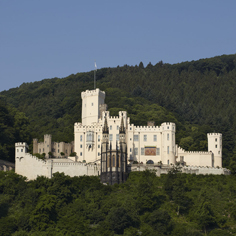 The former toll castle of Pfalzgrafenstein is one of the few fortifications within the UNESCO "Upper Middle Rhine Valley" World Heritage site which was never destroyed. In keeping with its mid-stream location, the outline of the castle resembles a ship travelling up the river. 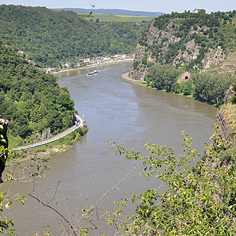 Right up until modern times, all shipping had to pass through the narrow bottleneck between Pfalzgrafenstein Castle and the town of Kaub on the right bank of the Rhine, as rock shelves barred the passage along the left bank at this point. 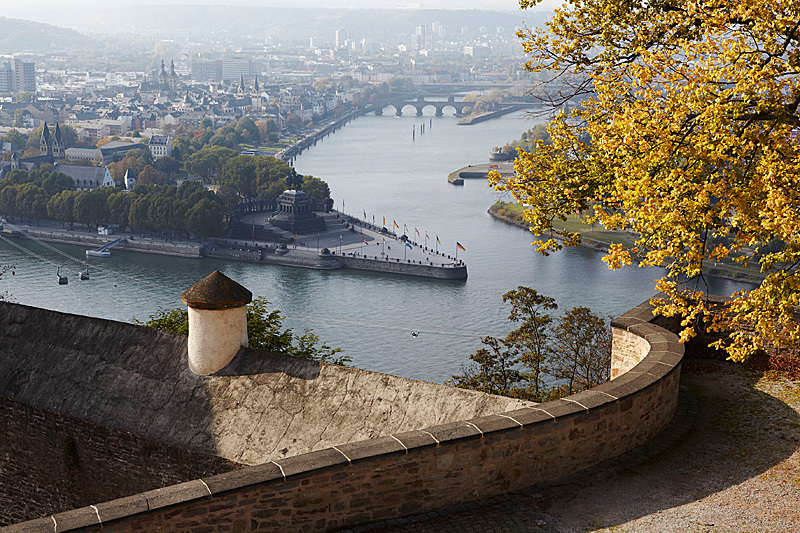 Travel back in time to the Middle Ages and explore the only hill fortress on the Rhine that was never destroyed! Sitting proudly on a rock above the little town of Braubach, Marksburg Castle is one of the highlights of the UNESCO "Upper Middle Rhine Valley" World Heritage site. There is plenty to discover in this perfectly preserved late medieval fortress: the Great Hall, bed-chamber, chapel and castle kitchen as well as the cannon battery and armour collection can all be visited. 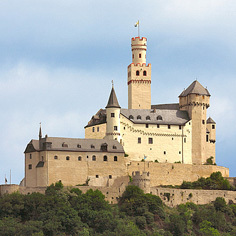 Marksburg Castle and its tavern are open every day, all year round. With its medieval botanic garden at the Marksburg and the Renaissance garden at Philippsburg Castle, Braubach is also a great destination for garden lovers. Explore the explosive world of the Vulkaneifel, a volcanic region at the heart of Germany - inactive maybe, but not extinct. Only 13 000 years ago the massive eruption of the Laacher See volcano created one of Germany’s youngest landscapes. 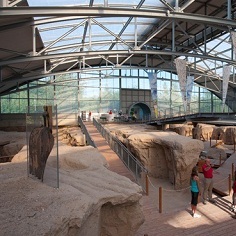 At the Volcano Park which lies within the administrative district of Mayen-Koblenz you can experience 500 000 years of geological and human history at 26 unique original sites in the Volcanic East Eifel. The Park is an adventure playground, education centre and local recreational area all rolled into one. 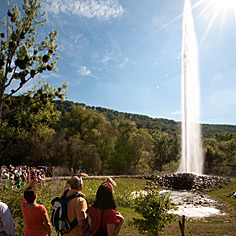 The highest cold-water geyser in the world: Andernach’s geyser sends a fountain of water up to 60 metres high into the air. The eruption of the geyser is caused by a buildup of carbon dioxide from one of the magma chambers in this relatively young volcanic area. This is similar to what happens when you open a bottle of carbonated water after shaking it. 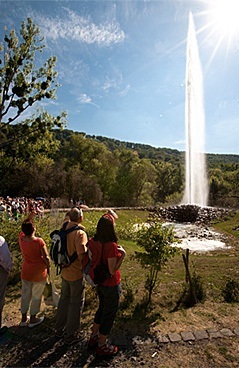 Your visit to the geyser takes place in three stages: first port of call is the Geyser Discovery Centre where you can find out all about this natural phenomenon. The next stage is a boat trip to the peninsular known as Namedyer Werth. This is the nature reserve where the geyser is located. The excitement mounts until finally, with a lot of hissing and bubbling, the majestic tower of water shoots high up into the sky! 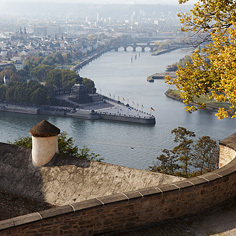 5000 years of settlement, 3000 years of fortification, 2000 years of urban history - this is Koblenz. 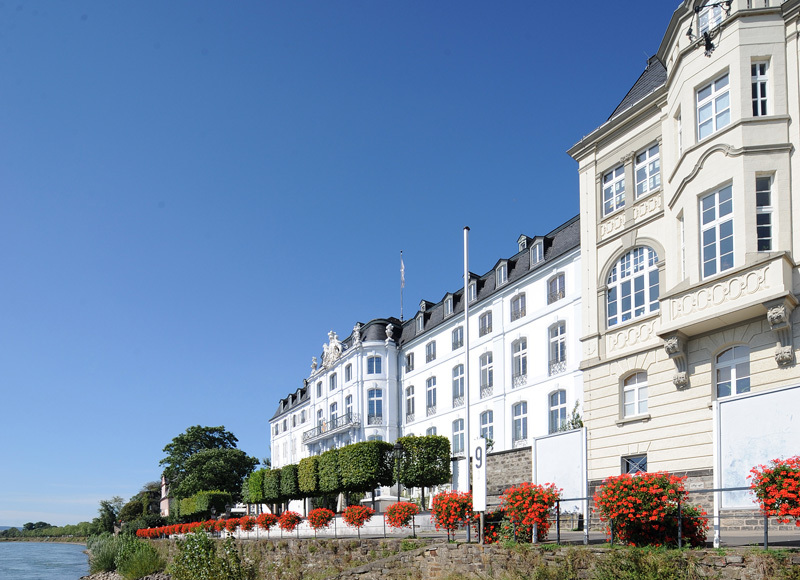 The Electoral Palace, the riverside gardens along the banks of Rhine and Moselle and the romantic Old Town with its pedestrian areas are all resplendent in their newly restored beauty - a visible legacy of the Federal Garden Festival. An unforgettable highlight of any visit to the city is the breathtaking cable-car trip that whisks you up from Deutsches Eck to one of Europe's largest fortresses. Ehrenbreitstein Fortress is a core historical site which exerts an almost magical attraction upon visitors: its generous open spaces, exhibitions and stunning panoramic views are just waiting to be discovered. 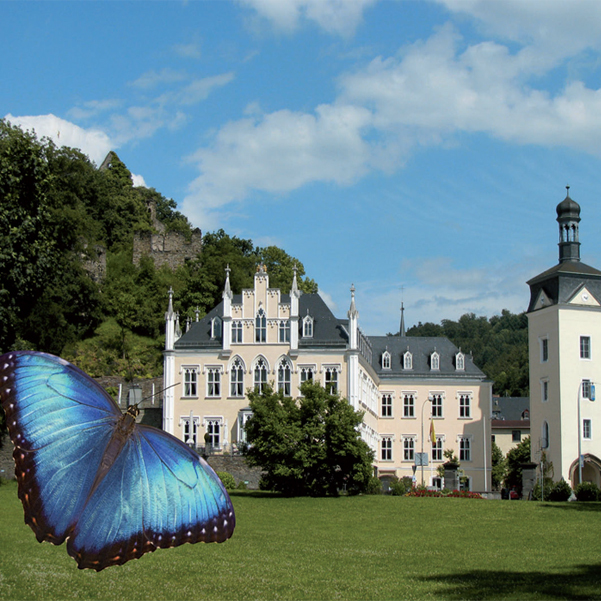 Maria Laach in the Volcanic Eifel is a haven of peace for anyone wishing to 'get away from it all'. 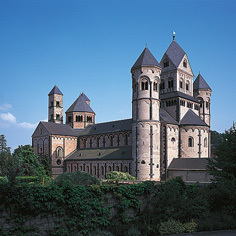 The six-towered abbey church is considered one of Germany's finest pieces of Romanesque architecture from the Salian period. The Laach Valley exudes a tangible sense of tranquility and calm and near the monastery is the Laacher See, a beautiful crater lake where you can relax or go for a pleasant stroll. Take out a pedal boat or rowing boat and you can admire the monastery and surrounding landscape from the water. The abbey also runs a book shop, a hotel, craft workshops and agricultural enterprises as well as a garden centre. 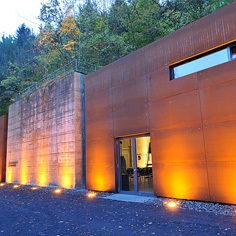 In March 2008 a unique legacy of the Cold War in Germany began a new lease of life: the former government bunker in the Ahr Valley opened its nuclear bomb-proof doors to the public as a museum. Once the most secret building in the history of the Federal Republic of Germany, the bunker was constructed between 1960 and 1972 as the "Emergency Seat of the Constitutional Organs of the Federal Republic of Germany in times of Crisis and War". In the event of a 3rd World War, this was to be home to 3000 people. Extensive documentation and many original objects in their original setting, bring to life a chapter of German history that was part of the global mutual deterrence system of the atomic powers in East and West. The future Kaiser Wilhelm once described Sayn as a fairytale. The different areas of the Sayn Culture Park combine elements which seem to contradict each other, and yet it is this very diversity which makes it such an amazing place to visit: a Neogothic palace and a formidable ancestral castle, a romantic wedding chapel and an iron foundry, a Roman watchtower and a high-ropes adventure course, idyllic castle gardens and a Romanesque abbey, the historic flour mill, the Museum of Ornamental Cast Iron and the Butterfly Garden. In the latter you can watch up close as filigree moths and butterflies from far-away places move about freely amongst the visitors, flitting from bud to bud in a tropical wonderland. 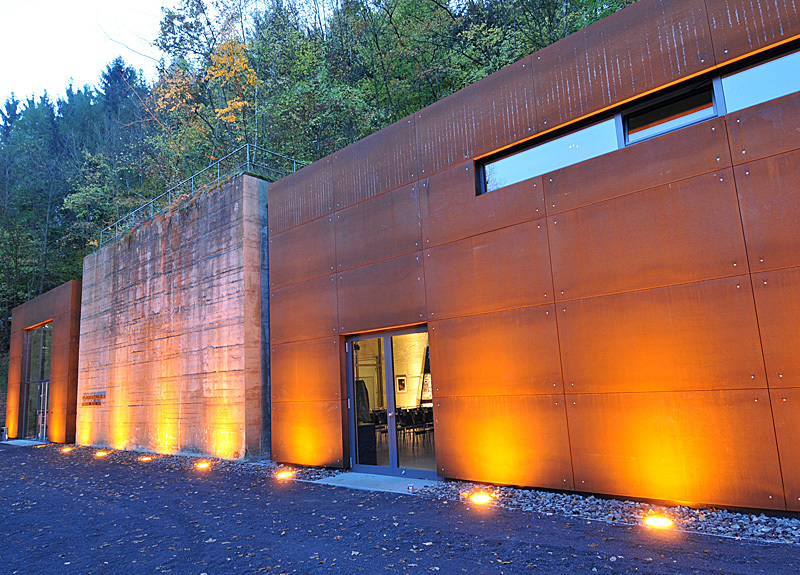 The mighty slate cliff rises up almost vertically from the banks of the Rhine. 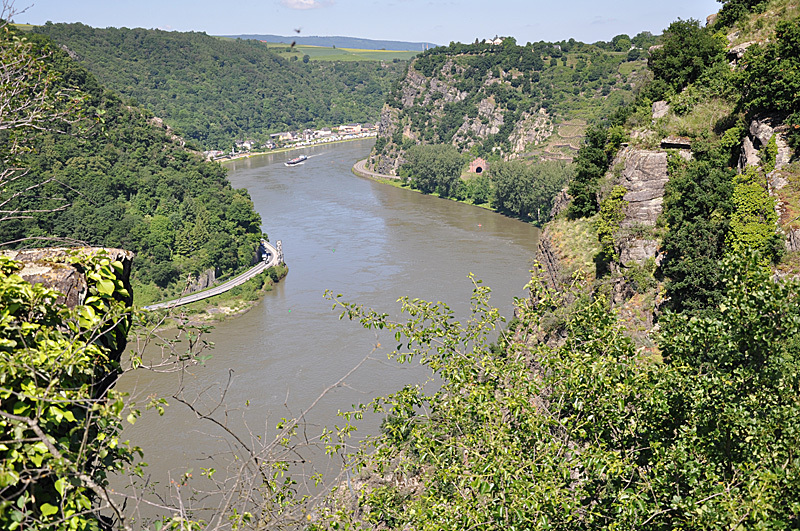 From up the top you can survey the haunting landscape of the UNESCO "Upper Middle Rhine Valley" World Heritage site and as you do so, one of Germany's best-known legends gradually comes alive: Loreley. With her dazzling beauty and beguiling song she lured the boatsmen on the river below off course, causing them to wreck their vessels on the rocks. 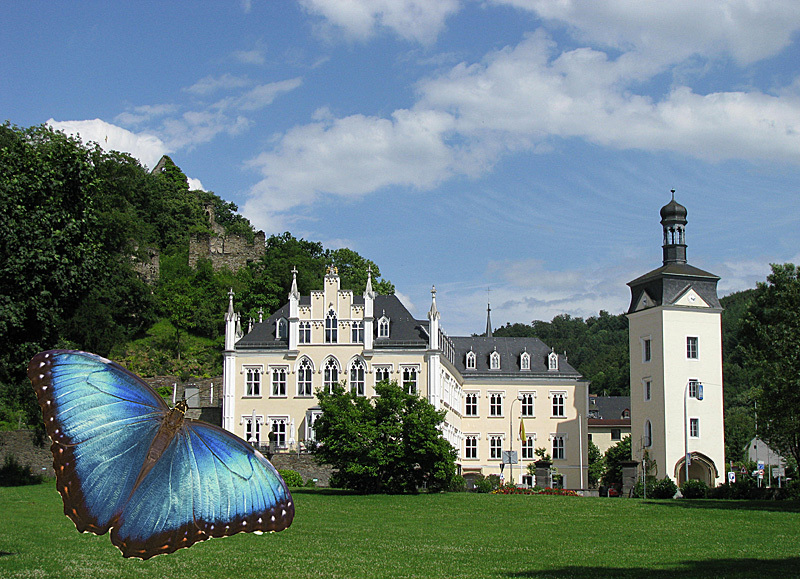 In the Visitor Centre on the Loreley Rock you'll learn some fascinating facts about the history of the Rhine Valley, shipping past and present, Rhine Romanticism, the natural landscape around the Rock and the Loreley myth, of course. 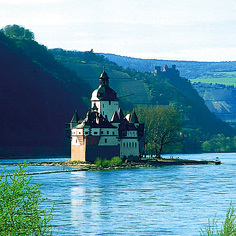 EntdCome and discover some of the most exceptional places on the Rhine! Set off on an inspiring journey to monuments that bear witness to 2000 years of civilisation, all located within one of Germany’s oldest cultural landscapes. Each of these 9 selected Masterpieces has its own unique personality and thematic slant, offering fascinating insights and unforgettable moments for every visitor. Savour these cultural highlights as you journey through this stunning riverscape. Select 3 of the Masterpieces and tailor your own visit to suit your individual tastes and interests.